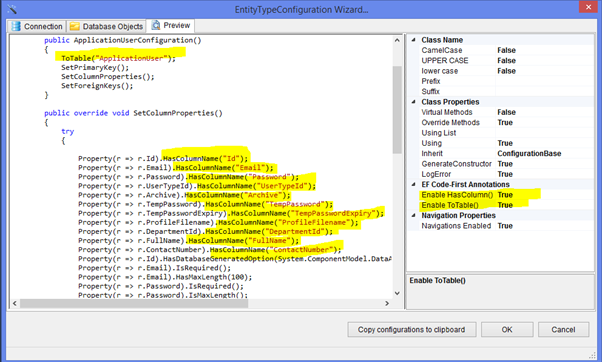 This extension will work in c# projects only. After installing the extension, two menus will be available on the short cut menu of project or any folder in the project as shown below. 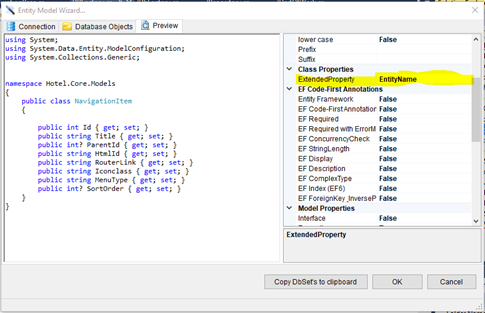 Add New Entity Model... 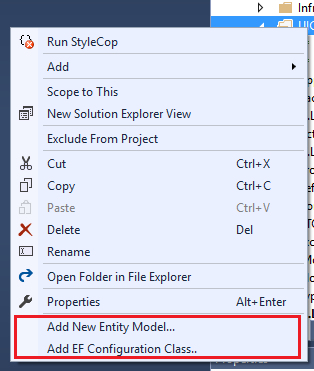 This is used to generate POCO classes On Clicking the menu "Add New Entity Model..." below dialog will open. 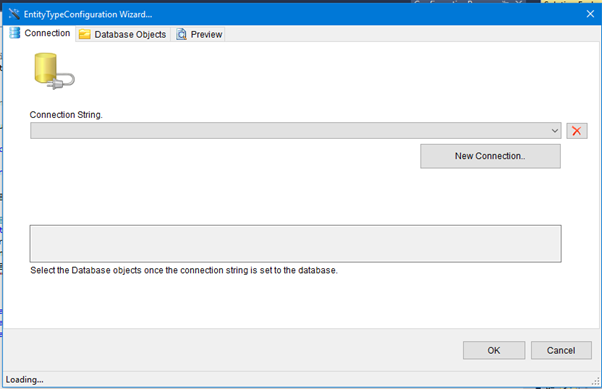 Here it is required to create the connection then it will fill the database objects. 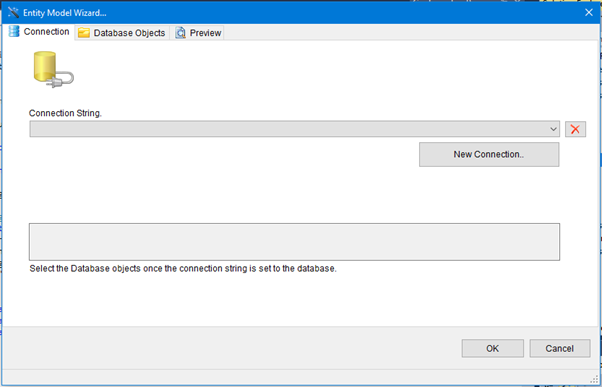 The check box provided on the database objects will select them for adding it to the project. 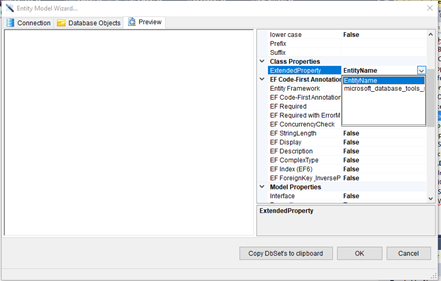 Add EF Configuration Class… This is used to generate EntityTypeConfiguration classes On Clicking the menu "Add EF Configuration Class..." below dialog will open. 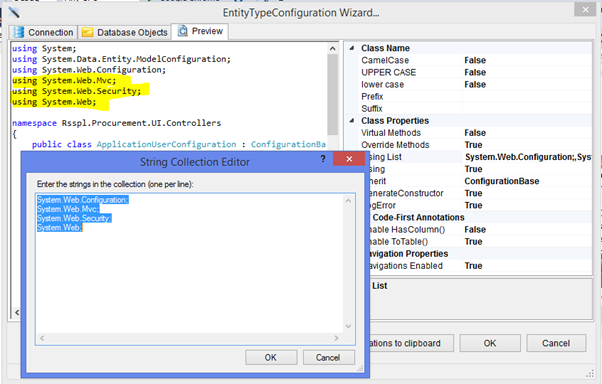 Added new properties Enable HasColumn and Enable ToTable shown below. 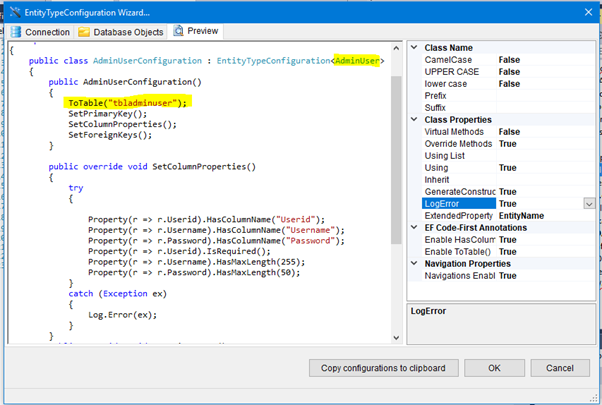 Added new property a Using List which can be used for adding user defined using references. 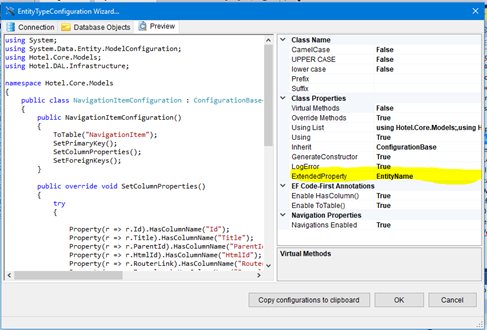 Extended Property feature added for Model creation as well as configuration as shown below. 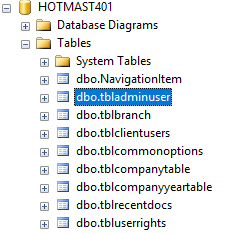 This feature enables to handle old styled table names with EF naming structure without actually changing the names of tables. 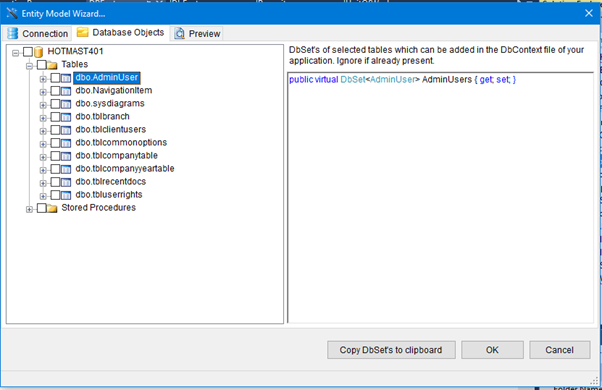 This becomes very much useful in case one wants to create a new UI or web service for existing SQL database without altering existing functionality. This property can be selected from the dropdown list as shown below. 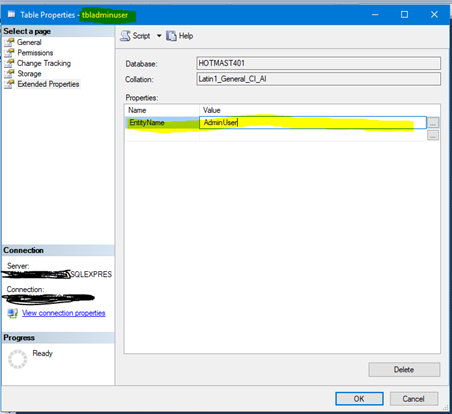 From the below images it is seen that after setting this property to EntityName, the name of the table is displayed as AdminUser which was set as the value for that property in SQL as shown above. Below is the image showing the actual table name.